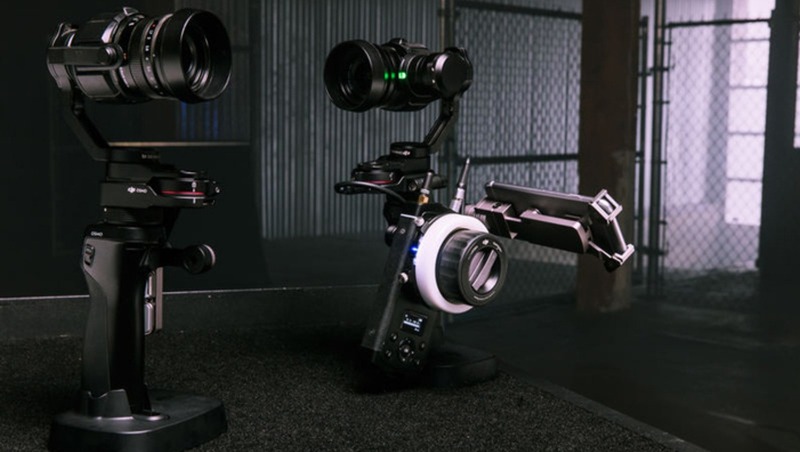 Chinese drone manufacturer DJI turned heads in 2016 with the release of the Osmo Raw, the world’s first handheld steadicam system with raw video capabilities. The appeal was obvious; the ability to capture enough data for effective color grading in post production, whilst utilizing the portability and effective steadicam technology from the original Osmo. But at $3,699, it’s an investment decision not to be taken lightly since one could pick up a DJI Ronin-M for 1/3 of the cost. We spent three months with the Osmo Raw, and despite some success, major issues piled up. As a music video director, I would often utilize the DJI Ronin-M for Steadicam operation with a Panasonic GH4 mounted. I would then mount a Blackmagic Visual Assist external monitor to the handlebars to record the HDMI feed. This was a tiresome process setting up the rig, and tracking shots were never as smooth as I had hoped. I was also a casual user of the entry level Osmo model, and was never let down with the incredible steadicam tech built into this elegant handheld system. So once released, I sold my Ronin-M and invested in the Osmo Raw. But not before scouring the interweb for any reviews of which I could find very little. 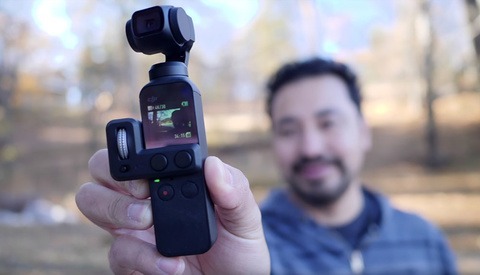 DJI clearly didn’t send out many free models to reliable testers, so I hope this product review to be one of the first real use, hands on reviews of the Osmo Raw. This isn’t a lab test of the quality of the camera, but I feel it’s important to share the major issues I’ve come across in three months of regular, professional use. The most frustrating and unacceptable issue I’ve encountered is the unreliable connection between phone and device. 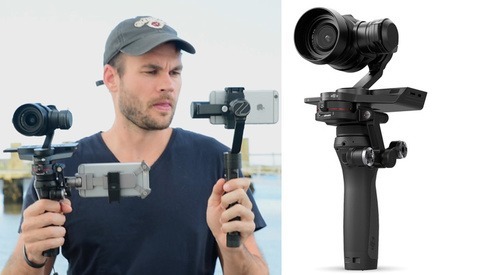 You see, the Osmo system utilizes your smartphone screen via the "DJI Go" app via Wifi connectivity. 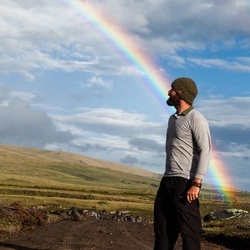 It is a cumbersome process to connect at the best of times, but on far too a regular basis, the camera will seem connected, but there will be no feed visible in the app. To solve this you must reset everything and start again. So far I have not discovered a pattern to when this does and doesn’t work. This becomes infuriating when the shot is ready to capture, and the camera simply cannot function because of this. There is a fan built into the Osmo Raw to keep the processor from overheating when recording to the SSD. This is an extremely power hungry process, and a battery will last between 15-20 minutes of real use. 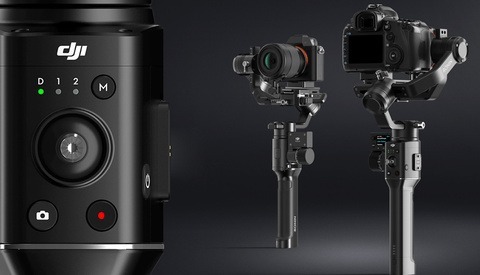 The Osmo Raw kit comes with four battery backs, and also an attachment for mains supply, but the main problem is that the handle is the same as the original Osmo, therefore the battery space is minimal. At this price point, I would have expected a redesign of a handle with a larger integrated battery pack to be more cohesive with the large power requirements. The other issue with the fan, is that it gets picked up on the internal AND and external mic. I have used a Rode Videomic Pro mic, and was disappointed to hear the whirring of the fan on every clip. Whilst shooting music videos rarely required internal audio, it is still somewhat frustrating that when required, this will simply not hold up. Shooting in a raw format offers huge benefits in post production when refined and detailed color grading is required. DJI’s own version of raw is not supported as of yet by the major post production editors, therefore files need to be converted in their own desktop application, CineLight. There are some simple editing tools included in the app to bake in before converting the files to a usable format. But the app is very slow, almost unusable, so I have rarely touched these tools. You can then choose between .dng raw format, or a multitude of ProRes formats. This process is one that needs to run overnight, sometimes for the entire day on my Quad Core Macbook Pro. By not having the option to record in ProRes right into the camera, you have to go through the arduous conversion process via the CineLight app which adds almost an entire day onto your post production time if you want this format… or any format for that matter given the unusable raw format in Premiere Pro. Licensing to record ProRes has recently been acquired by DJI and integrated into their new line of premium drones, so I hope this to be included in the Osmo Raw via a firmware update. Because the CineLight app is basically useless, when files get baked into a new format, you lose some dynamic range that was probably in the original file format. When comparing a ProRes 422 HQ file shot straight out of a Blackmagic Micro Cinema Camera with the Osmo Raw’s equivalent, the latter struggles with the smooth dynamic range that Blackmagic have honed and refined for a decade. Whilst DJI have mastered steadicam tech for the consumer, they have some way to go with sensor tech. When purchasing my Osmo Raw direct from DJI’s website, it was unclear what was included in the box, I therefore purchased a few extras that I felt necessary like the SSD reader. Upon arrival of my Osmo Raw, I discovered said items were already included so I looked online for the return process for unwanted goods, only to find very little language. Upon contacting customer service, there were large delays in replying before they acknowledged a return was required. At this point they then informed that the seven day cooling off period had expired and I was unable to return. When spending almost $4,000 on tech, this level of customer service is simply unacceptable, and is a world away from the superb levels of care and attention taken from Olympus and Panasonic for example. As new players on the market, DJI have a lot to learn in customer service. $4,000 is enough to buy a decent Blackmagic URSA Mini with a few add ons although this won’t have Steadicam abilities. At this price point it is disappointing to come across so many obvious issues that one must have expected to have been seen in internal testing before public release. It then makes me assume that the reason they never sent out tester models was because of the fundamental fact that the Osmo Raw is much better on paper than in real life. Despite all of these issues, when it does work, I’m impressed with the shots once they’re graded and included in video. I will keep mine for now, and hope that some of this feedback is soon read by the ambitious team at DJI with the hope of some significant firmware upgrades in the near future. I use the Osmo with the X5 from my Inspire. I like it a lot. But definitively the screen is an issue. Also the lag in image transmission is annoying. For the battery I use the external power adaptor together with a Inspire or Phantom battery. Lasts pretty long. While I'm pretty new to filmmakeing and started out with a dji phantom 3, i recently upgradet to an Inspire RAW and use to mount the Zenmuse X5r on my Osmo. While I agree to most of your points, some others seem arguable. For Windows, you can't use cinelight (as far as my last knowledge goes) and Adobe Premiere natively offers pretty decent support for those DNG files. While importing takes it's time, it's not that much of a hassle to work with them. The powerstruggle is real. I use the adapter and my Inspire battery packs. Lasts much longer! Oh and yes, the black screen is more than just annoying! Mate, I am so with you on the customer service issue. I've had a 3 month delay on the Mavic with DJI having mastered the shoulder shrug. Compared to Canon and Sony, they've got a lot to learn.